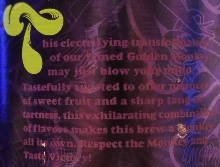 Brewer Description: (from bottle) This electrifying transformation of our famed Golden Monkey may just blow your mind. 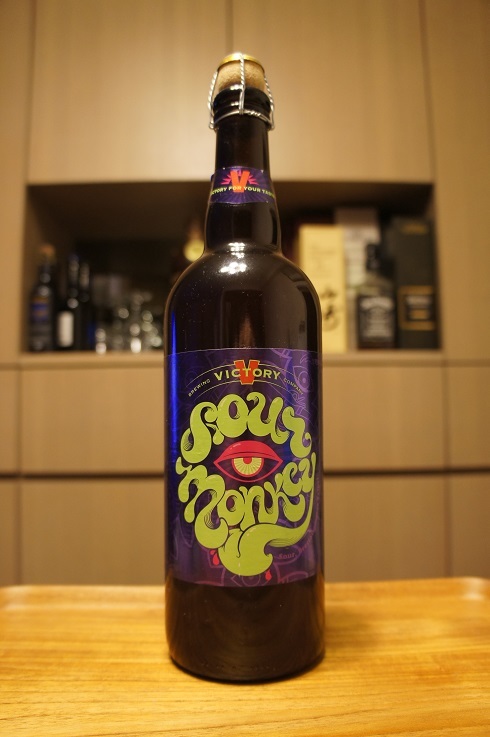 Tastefully twisted to offer nuances of sweet fruit and a sharp tang of tartness, this exhilarating combination of flavors makes this brew a Monkey all its own. Respect the Monkey and taste Victory! Intro: A 1 pint 9.4 fl. oz. corked and caged bottle, bottled on 1st July 2015… wow, pulled from the cellar just over 3 years old. Poured into a 3 Fonteinen stemmed glass. Appearance: A lightly hazy light copper colour with a less than half finger white head that disappeared almost immediately while leaving behind some sparse lacing. Aroma: Tart, grape, prunes, plum, apple and lemon with maybe some light funk. 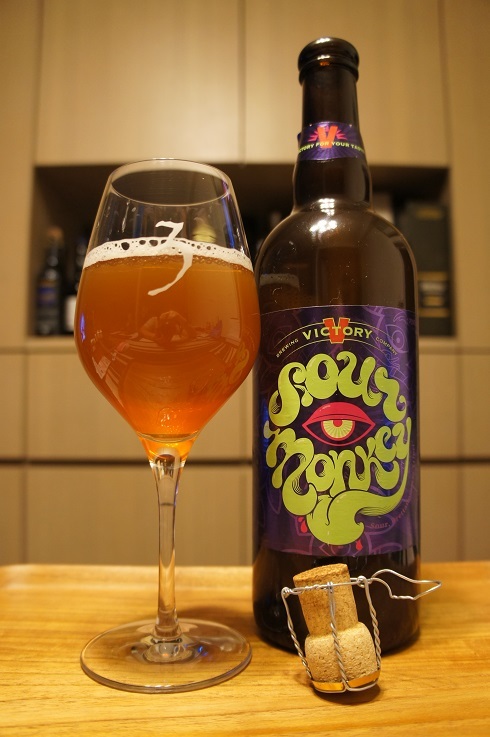 Taste: Sour, tart, grape, prunes, lemon and apple cider. Overall: Not bad, but there didn’t seem to be much complexity to it. Not getting much funk or wood. It was just straight sour and fruit. I was very surprised that it was 9.5% ABV though, as it did not feel anywhere near that at all.